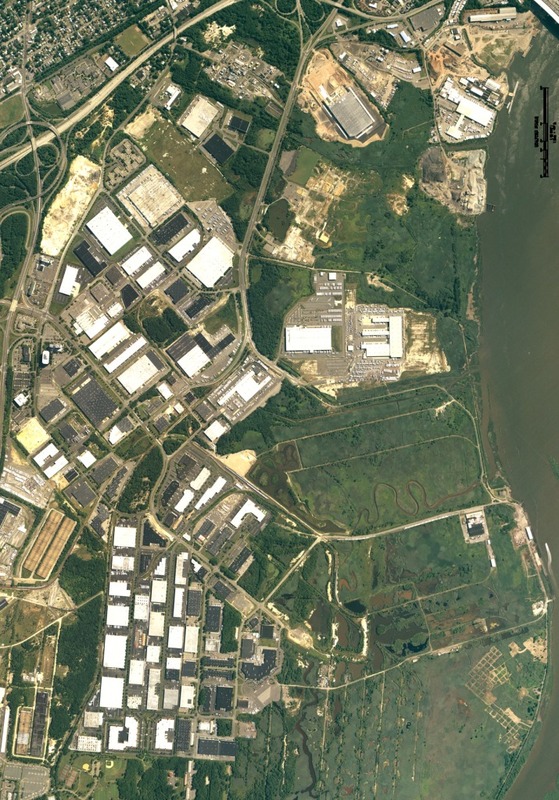 A previous staging area for rail operations within Raritan Center provided a development site with rail access for warehousing. Rail access provides an excellent opportunity for materials and finished goods to get easily transported to the warehouse. Unstable soils and construction debris from historical utilization necessitated extensive over excavation to remove both the unstable soils as well as the debris. Proximity to sensitive wetlands to the east of the property and an active rail classification yard to the south limited the work area available to access the site and construct the building. PS&S developed a comprehensive solution. Hauling the unstable soil material to an existing site within Raritan Center that could accept the material reduced the potential costs associated with offsite removals. Deep dynamic compaction was utilized to strengthen the remaining soils and reduce the need to remove and replace a larger quantity of material that could potentially impact the offsite rail activities and wetlands habitat. Due to its proximity to the rail, a new siding for the building was also constructed.